It’s that time of year again. Retailers and service providers alike are doing all they can to finish the year off strong. Whether you offer products or services, you can make the most of the season by optimizing your site for holiday shoppers. Here are some quick last minute tips to get more traffic and sales this holiday season. Whatever your product or service, add a gift category, offer a Gift Guide, or mention gift ideas on your home page to encourage visitors to share your goods with friends and family. Offering gift cards is another holiday-shopper friendly option. More and more shoppers are buying from their mobile devices. The faster and easier you can make checkout (ie including paypal buttons, etc), the better conversion rates you will have. For local services, mobile searchers see different google results based on your site’s mobile responsiveness, speed, and AMP compatibility. Milliseconds count on your page load speed. Whether people are viewing your site from desktop or mobile, it’s critical that your page loads fast and gives visitors what they’re looking for. 75% of shoppers are checking their phones from in-store. Will they choose to buy from you or take home the item in front of them from the store? Your site load speed and ease of checkout has a lot to do with that decision. What are people giving gifts or shopping for the holidays searching for? Get dialed into the target keywords and offer information about those things on your website. Keyword tools like Google’s Keyword Planner or Google Trends will give you additional insight into what people are looking for. Offering holiday deals is a sure-fire way to get more traffic to your site and more customers. You’ll get the most leverage by submitting your discount offer to as many discount and coupon sites as possible. Don’t limit yourself to discounts on products! Offering coupons for local business services can be a great way to attract more clients also. Optimizing your site for the holidays will help you capitalize on the spending surge of the fourth quarter. 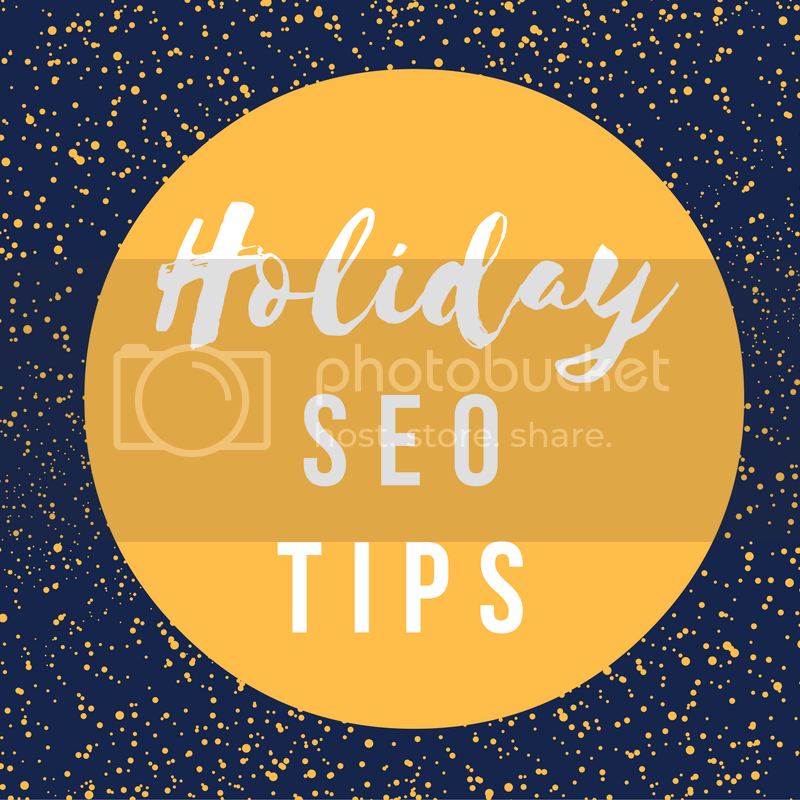 For maximum effectiveness, you’ll want to start working on holiday SEO efforts during the 2nd and 3rd quarter to take full advantage of 4th quarter search traffic. Fortunately, those efforts can pay off the rest of the year and your site can attract customers year-round with free organic traffic. Not sure where to start with your site’s SEO? We offer free website evaluations. Discover where you stand in the search engines and how you can start reaping the benefits of being found by your ideal customer. Claim your free website analysis here.